Expert in European and International Relations. 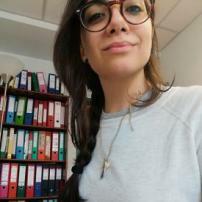 Currently, she lives in Brussels and follows European Tenders and Calls for proposal participating to a number of debates and conferences on the key role of EU funds in economic and social development. In particular, she deals with Cooperation, Human Rights protection European policies, financing, public relations.